The hot topic of the year is the government's Renewable Heat Incentive. Your system will need to meet the eligibility criteria to earn the RHI. As well as our Herz biomass products being 100% RHI compliant, we have also completed numerous RHI ready design and installation projects. This includes designs with integrated meters, installation and commissioning engineers trained in RHI meter installation/siting and advising on RHI applications. We also consult external RHI consultants on behalf of any clients wishing to specify the RHI meters to independently ensure that all designs are compliant with Ofgem requirements. 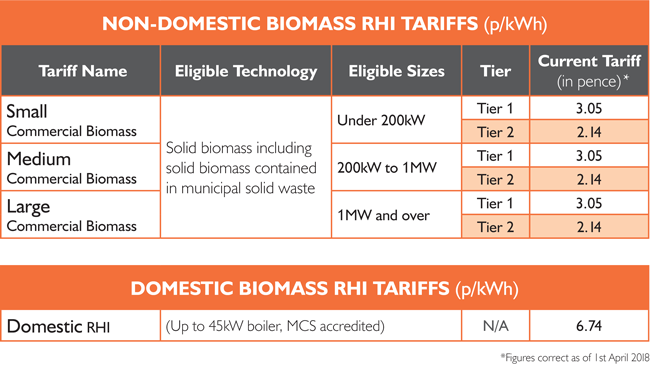 To keep up to date with changes to the Domestic and Non-Domestic RHI, the Ofgem website provides extensive data including: Non-Domestic RHI Tariffs and Domestic RHI Tariffs. Use our RHI Calculator tool to find out the payback period for your project.